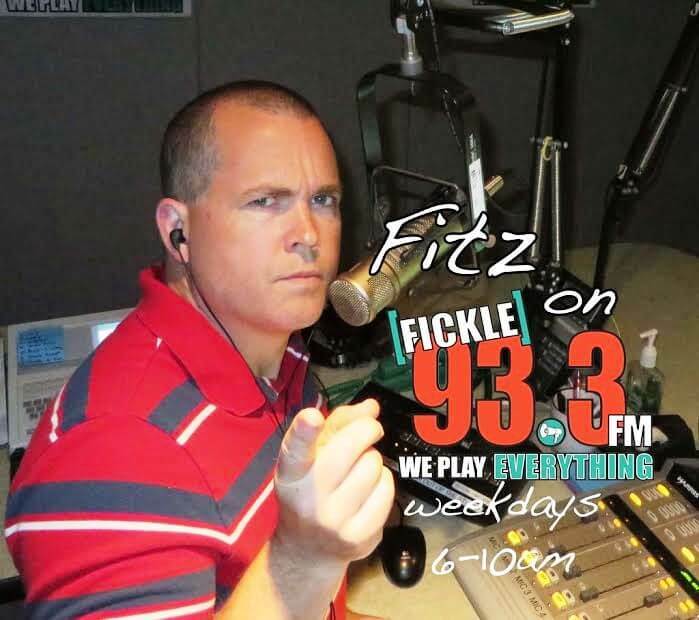 In this highlight,we turn our attention to Scott “Fitz” Fitzgerald, of Fickle 93.3 FM Radio. A prominent figure in radio in our community for many years and also a key member of Phoenicks Creative, a creative film group “Fitz” and his friends put together. “Fitz” also happens to be the originator of Fairport Pictures, a film group with a similar concept, similar in the sense that both film groups are putting out quality entertainment. 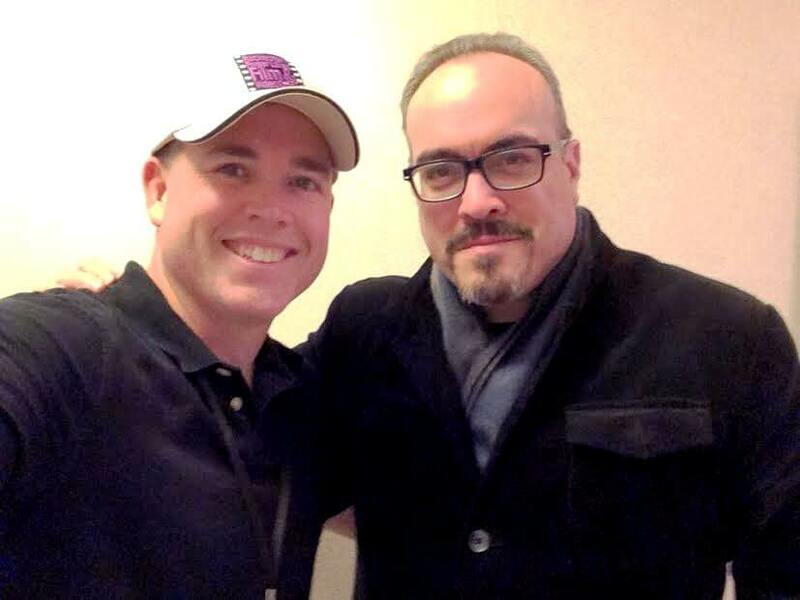 Scott “Fitz” Fitzgerald is currently working on an upcoming feature film with his good friend Steve Miller, production starts later this summer and you can anticipate a thoroughly entertaining film. Personally I can tell you Scott is a real talented guy, willing to help others and is always equipped with a positive attitude. It’s quite refreshing, honestly. Most folks won’t take the time to get to know you or even take an interest to whatever it is you have going on, “Fitz” is the opposite. With his talent, personality and attitude, Scott “Fitz” Fitzgerald has forged his own path and is creating quite the legacy for himself. I asked “Fitz” to answer a series of questions to get a little more background. Here’s what we discussed. I was born on Long Island but the family moved to South Florida when I was 5. I was raised in the Davie/Cooper City Suburbs of Ft. Lauderdale. Down in Florida it’s kind of all one big concrete jungle now, there isn’t the kind of separation between villages and towns we have in Rochester. I went to St. Thomas Aquinas High School – which has the number 1 Varsity Football team in the US. I played JV and I was not very good. I am a proud band-geek and I played saxophone and drums. I marched with a bass drum and fooled a lot of people into believing I actually had rhythm. But seriously, I ended up playing drums in a punk band a few years later. So – I was big into the military back then and really had my sights set on going to the Naval Academy in Annapolis, MD. I didn’t have the grades – but I spent 4 years in the Civil Air Patrol and thought I could pull it off. I was nominated by my congressman for the US Merchant Marine Academy but didn’t get the appointment. Instead, I applied for a musical scholarship to New Mexico Military Academy. After doing some basic Army training I dropped out of the program because I found out I was color blind and could not fly. After that I grew my hair out and started playing the guitar. I started going to Florida Atlantic University in Boca Raton for Communications. I started doing a morning radio show on a little tiny AM station they had there and I was hooked. I transferred to the Art Institute of Ft. Lauderdale to pursue an AS in Broadcasting. I ended up taking an internship at Carnival Cruise Lines to learn video production and that started me on the video and filmmaking path. 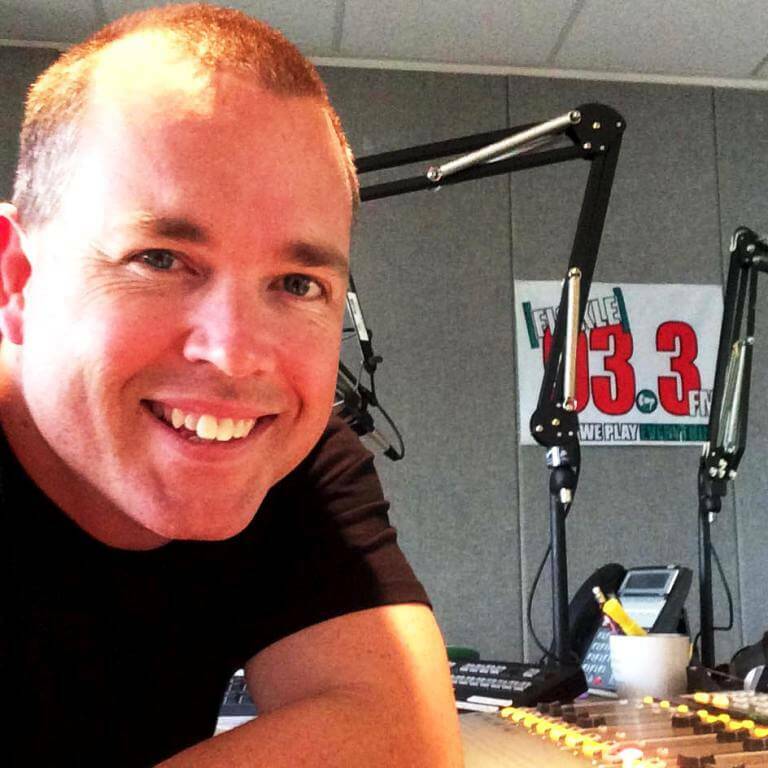 I finally got back into radio a few years after I came to Rochester. The real clincher was when I had to host a costume contest for my college radio station. They gave me a microphone and free beer. I got to go up on stage and tell jokes. They must have been funny jokes or perhaps everyone was just drunk, but I had a great response and I liked the electricity of being on stage. 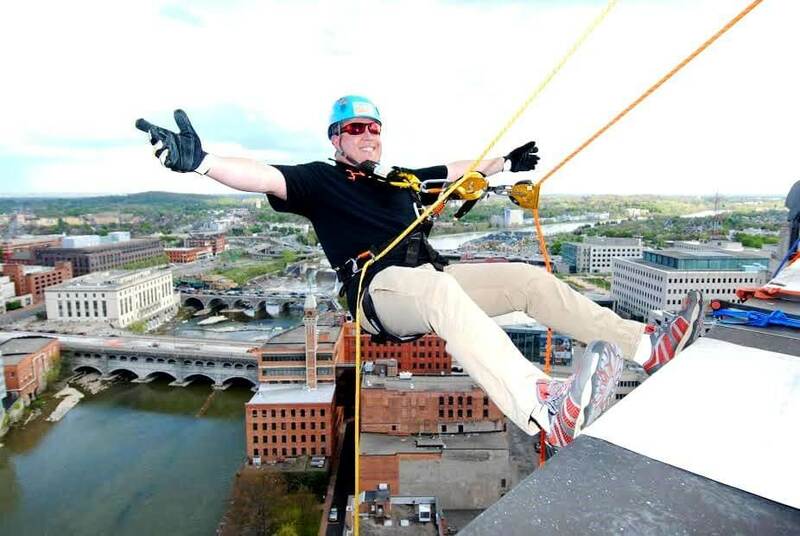 In 2008 I was laid off from my job at a local Ad Agency in Rochester. We had just moved here from FL the year before and finally purchased our first house only 6 month prior to me losing my job. The next few years I worked for a small video company with financial problems and ended up getting laid off from that place in 2010. I had to stay home with my kids and become a Mr. Mom guy. That’s when I decided I was going to get back into radio. I made it my goal to have a full time job in radio within 5 years…I did it in 4. Q. 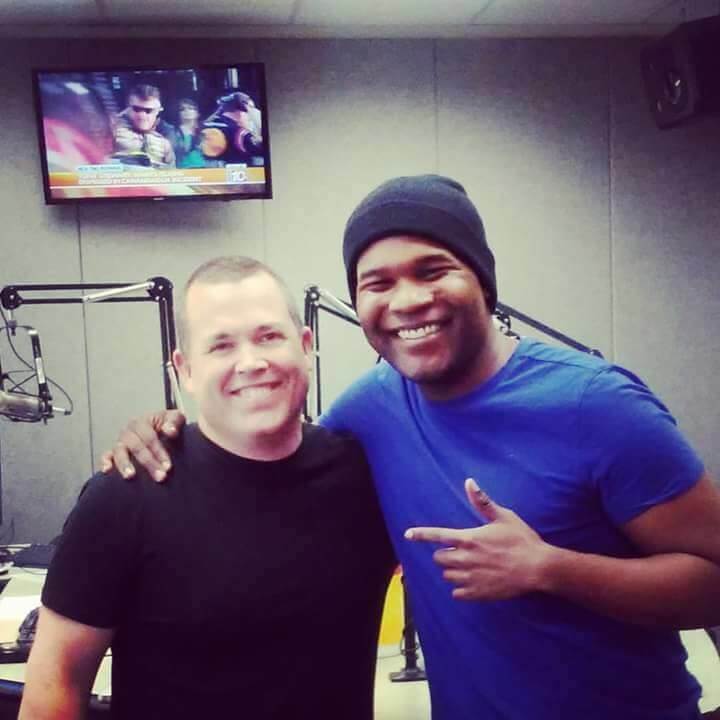 What do you believe sets you apart from other radio personalities? I really don’t think anything sets me apart from anyone else. I’m nothing special. I pride myself on being approachable and helpful to others. I don’t aspire to be anything but happy. I want to be fulfilled creatively and work with fun people. I am an on-again/off-again weight lifter. (Apparently, I am off-again right now, haha) Of course making movies, writing and playing music are my other interests. I’ve also recently gotten into acting in and directing local theatre. I have a wife and 3 kids and I devote much of my time to them. They are all really great and support my crazy endeavors. 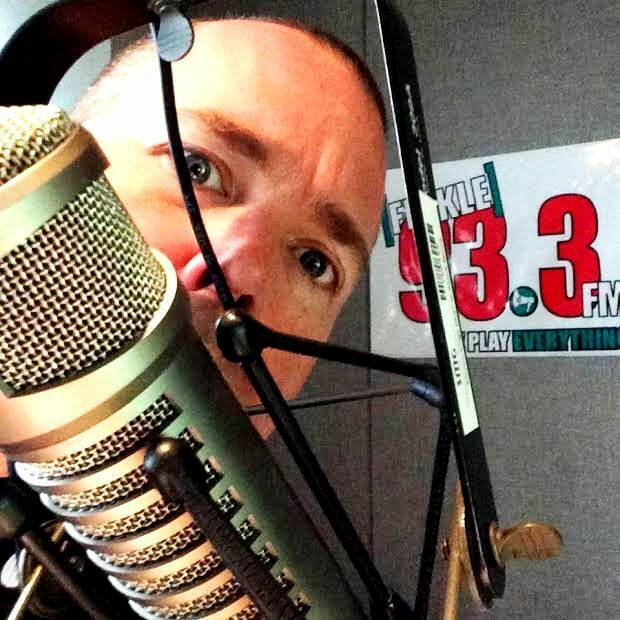 I would like to see myself doing a morning radio show and making movies. I would love to do that show from my condo in FL during the winter months and live in Fairport during the summer. I’ll settle for being gainfully employed, though. It may be cliche, but believe in yourself. Write down your goals so you can see them every day. Never give up, never surrender (also watch a lot of Galaxy Quest). I tweet here and there @fitzon933 Plus you can follow my film adventures at fairportpictures.com – that will link you to the various social media outlets I use. Send me an e-mail and let’s chat about stuff. I love meeting new people.